A short ferry ride from Seattle, Bainbridge Island is one of my favorite places to visit anytime I’m in Washington. 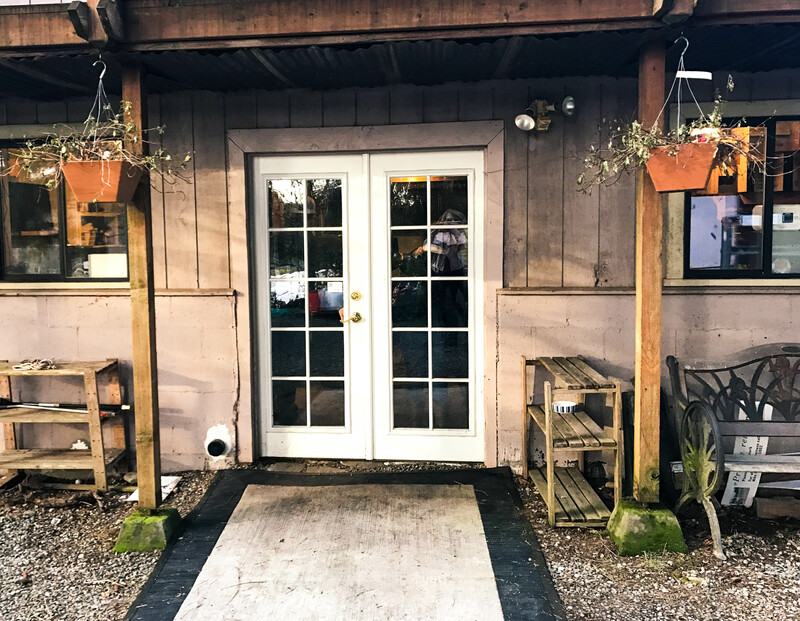 Though the island itself is beautiful, the wine is what lures me back again and again (for an introduction to the different wineries check out my post “Sipping through Seattle: Wine Tasting on Bainbridge Island”). 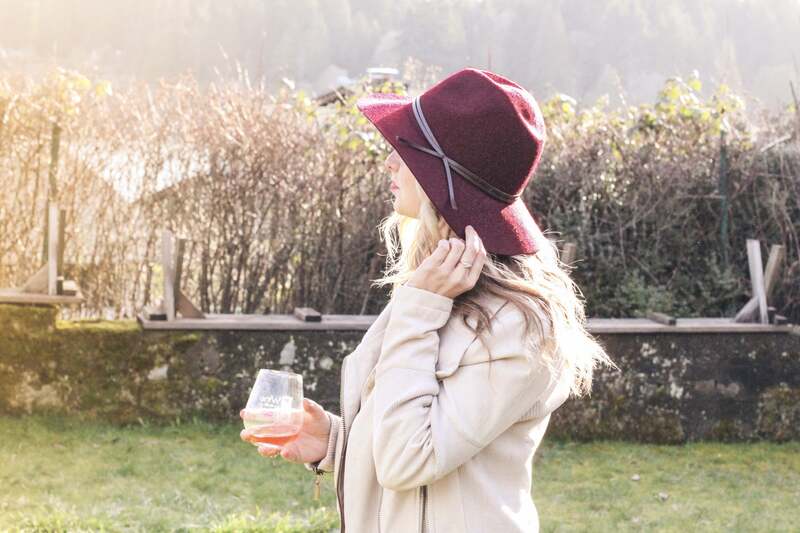 Recently, I had the opportunity to return to Bainbridge Island and explore some new wineries as well as visit old favorites during their annual “Wine on The Rock” event. 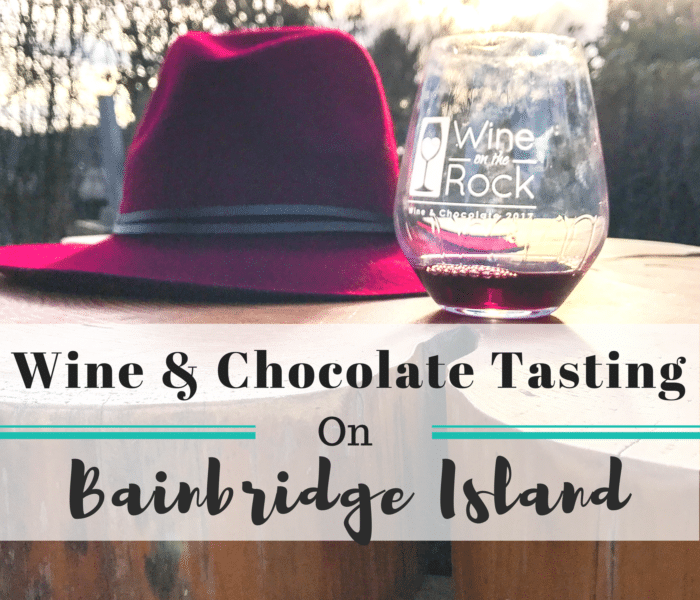 Wine and chocolate are two of my favorite things, so when I heard about “Wine on The Rock,” a wine and chocolate tasting event on the Island (locals refer to Bainbridge Island as “The Rock”), I knew I couldn’t miss it. 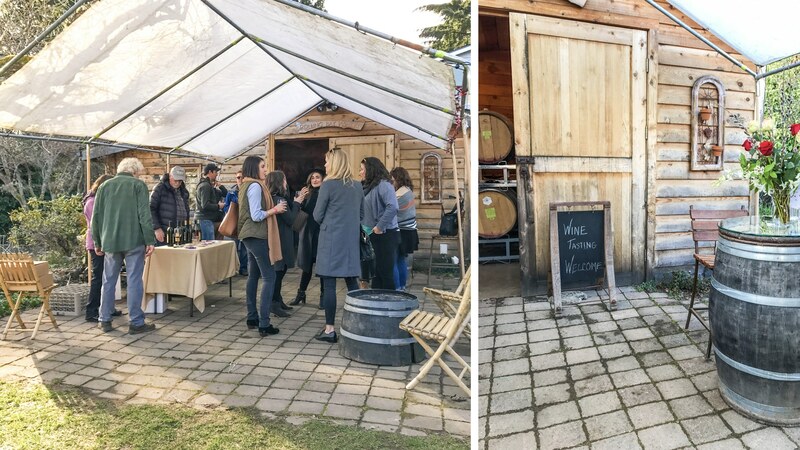 The event was held Valentine’s day weekend, and all seven of Bainbridge Island’s wineries participated. 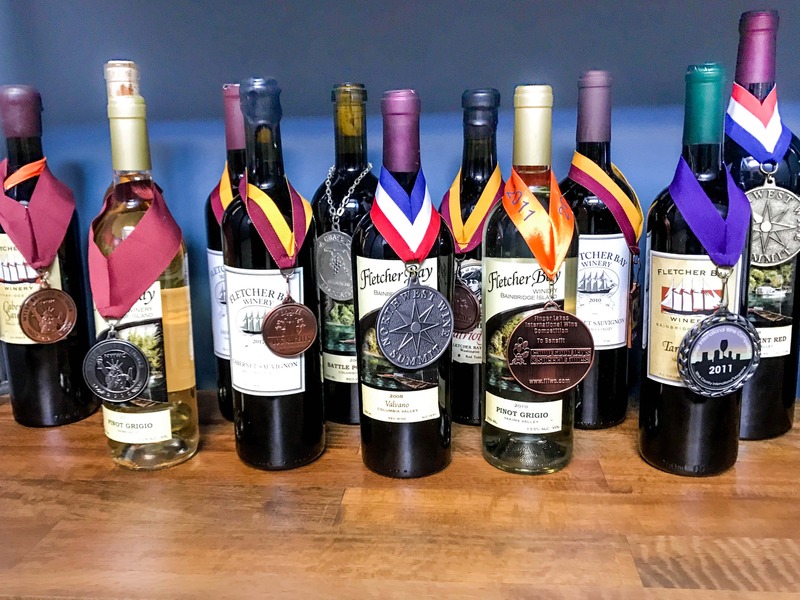 Each winery featured different local chocolates to pair with their wines and some even had a different type of chocolate for each wine varietal. Needless to say, there was A LOT of wine and chocolate. We arrived at the island a little after 12pm (when the event started) in order to taste at as many wineries as possible. Upon check-in guests received a special event wine glass, complimentary six bottle wine tote, and a “passport” that granted you tastings at all of the wineries. If you filled up your passport by visiting all seven wineries, you’d be entered to win a gourmet wine basket, free wine tasting on a return visit, or free tickets to the next wine on the rock event. (I tip my hat to whomever could complete all 7 wineries, we only had time for a handful). We started at Fletcher Bay winery. 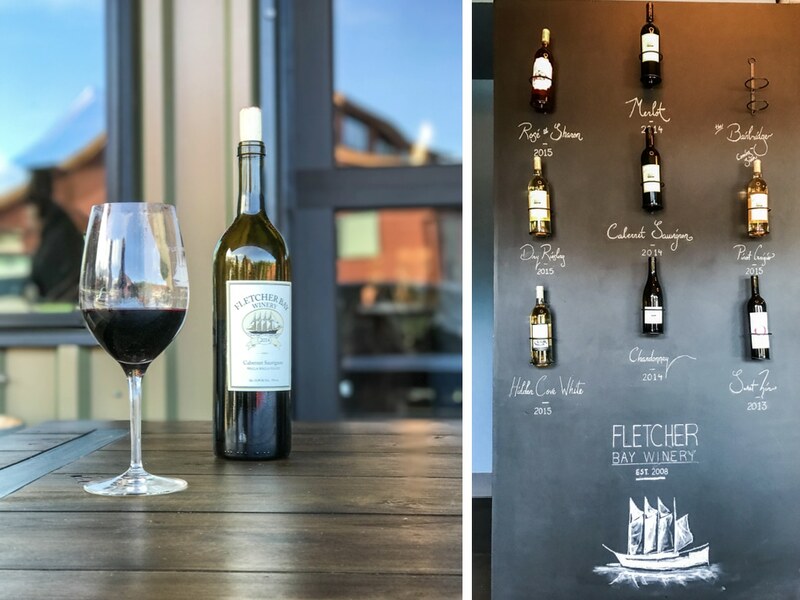 I had been to Fletcher Bay in the past, but the winery recently underwent a big remodel so the interior looked completely different. 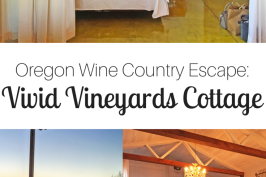 I loved the winery’s new look and was definitely impressed with the beautiful remodel. Sharon (the winemaker’s wife) poured our flight, and chatting with her was every bit as enjoyable as tasting the wine (she’s awesome!). I loved her energy and enthusiasm, and her hospitality is quick to make visitors feel like old friends. 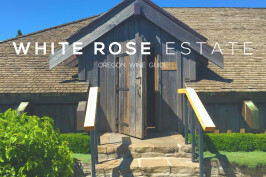 We tasted a dry Riesling, Rose, Merlot and Cabernet – all of which were spectacular. We also purchased a bottle of the Cuvée. 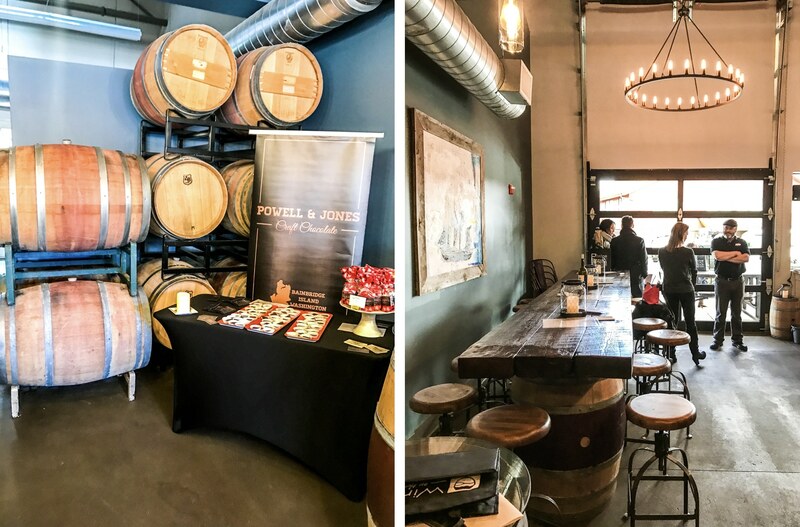 In addition to the wine we tasted chocolate by Powell & Jones Craft Chocolate, which paired beautifully with the red wines. 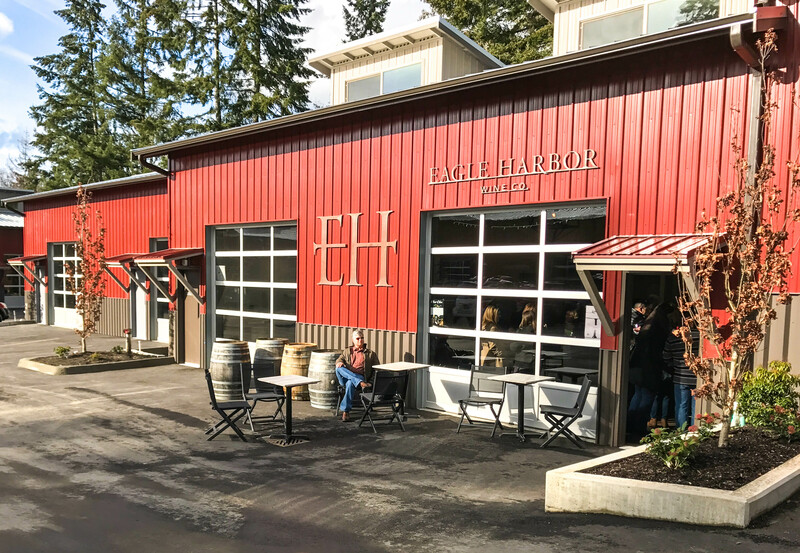 After Fletcher Bay we went to Eagle Harbor Wine Co. It was my first time visiting this particular winery and I was impressed with all of their wines (particularly the reds). The intimate tasting room was packed during our visit, but we were able to sit at the tables outside and enjoy a flight of five wines. Next we visited Rolling Bay winery. 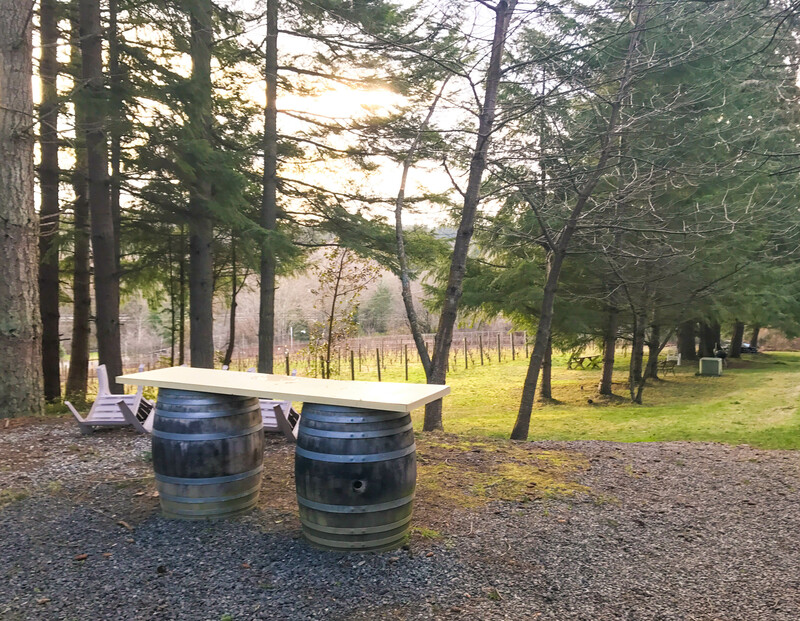 This is another one of my favorite wineries on Bainbridge Island, so I was excited to return. This time, the weather was beautiful so the tasting table was set up outside. 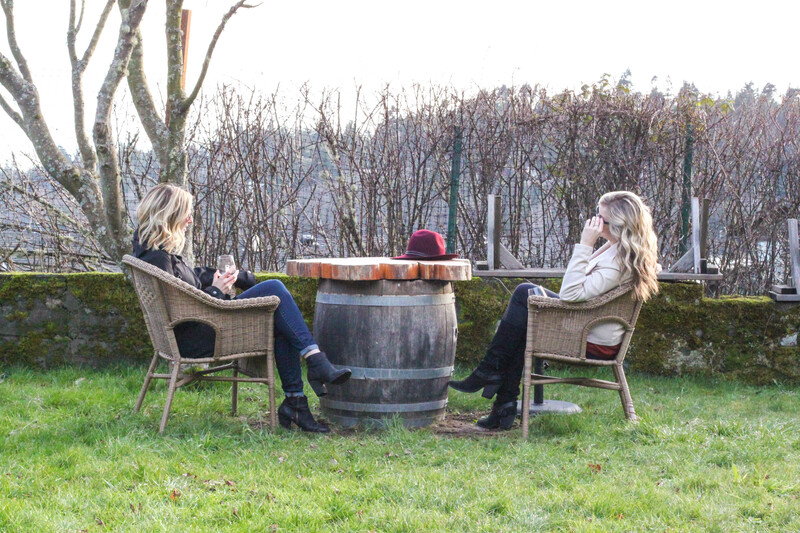 We took our time with this tasting, and sat on a table in the lawn soaking up the sun while sipping a variety of different wines (I believe they had about 10 to choose from). The wine was complimented by Pink Peony Chocolates (a local Bainbridge Island chocolate company). Our last stop was Perennial Vintners. It was my first time visiting this winery, and I was so glad to discover this hidden gem. We tried five wines (including a Syrah that I really enjoyed) and paired it with Yukon Jackson chocolates – which were the best chocolates I have ever had! Since this winery is a little off the beaten path, it was (thankfully) less busy and the perfect way to end our day. 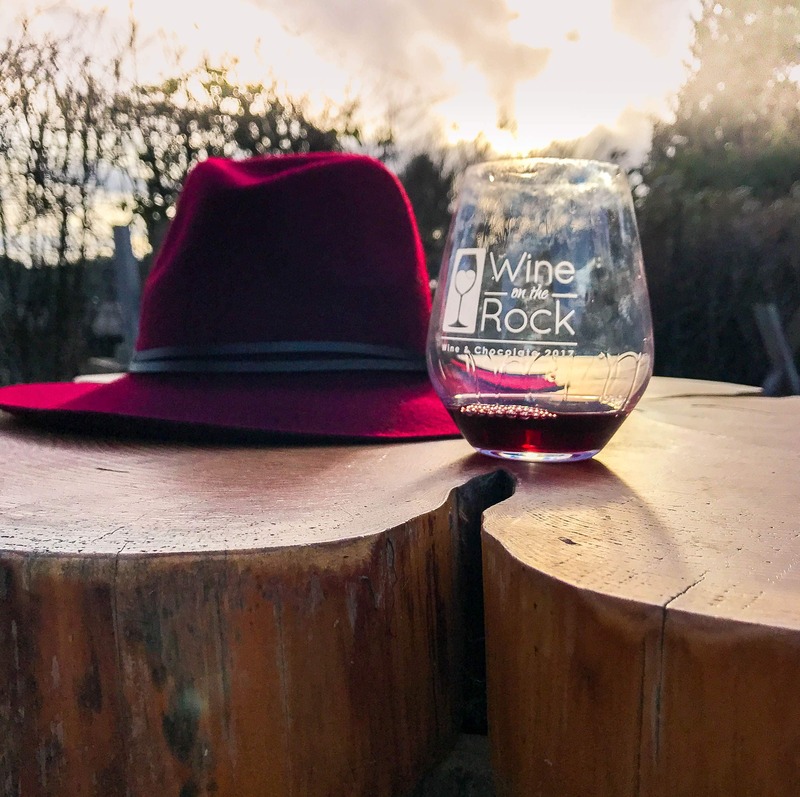 “Wine on The Rock” is one of four annual events hosted by the Winery Alliance of Bainbridge Island. If you missed it, don’t worry – they will be hosting another “Wine on The Rock: Wine and Cheese Pairing” event April 22-23. Given how much fun the wine and chocolate tasting was, I can only imagine the next will be equally as amazing. What a great idea for an event pairing wine with chocolate, so much better than the usual wine with random crackers or pretzels they have at tasting rooms! This sounds like a fantastic date day. I’m already trying to figure out how we can swing a trip up in April for the wine and cheese tasting! These sounds absolutely great and fantastic!! Wine and chocolate pairings is what I do ! I love the combinations of taste sensations these pairings can bring to our mouths. If you love wine and chocolate, I truly hope you will visit my site. I gave 7 years of chocolate adventures spanning 16 countries to tempt your taste buds! ???? Thanks for stopping by! I'm Brianne, the flight-risk writer behind Everyday Runaway. 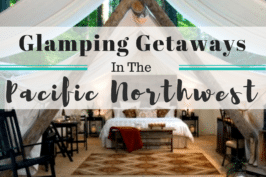 Born and raised in Idaho, I spent the last several years climbing the career ladder in Portland, Oregon before quitting my job and "running away" to live the digital nomad life in Hawaii. Everyday Runaway is a travel (and wine, and food, and lifestyle) blog aimed at inspiring a community of "runaways" to escape the monotony of everyday life through travel and quality experiences. Escaping the monotony of everyday, one adventure at a time.